In this 4 session class, you will explore the genre of picture books via classic and contemporary examples, with a focus on current publishing preferences and practices. Your look at this unique literary form will cover topics such as narrative structure, character development, word choice, the relationship between words and images, developing a story, thumbnails and book dummies, steps to finding an agent and publication, joining critique groups and professional organizations. A portion of each class, except the first, will be devoted to sharing and critiquing student projects. 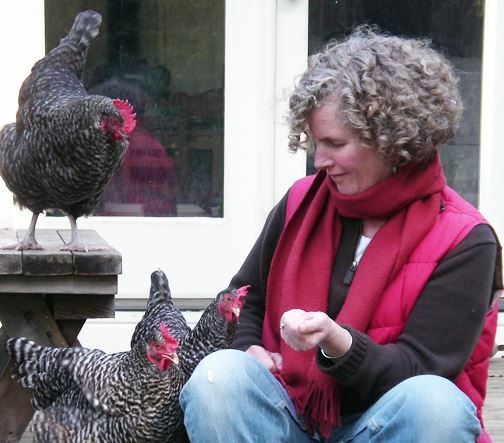 Instructor: Jennifer K. Mann is a picture book author and illustrator from Bainbridge Island. Formerly an architect, she gleefully turned to picture books full-time in 2012. She is the author and illustrator of Two Speckled Eggs, I Will Never Get a Star on Mrs. Benson’s Blackboard, Sam and Jump, and the forthcoming Josie’s Lost Tooth, all published by Candlewick Press. She is the illustrator of George Shannon’s Turkey Tot, and Alison McGhee’s Percy, Dog of Destiny.